Hello everyone-here is the event flyer. Please feel free to make a copy & share with your AMC/Jeep friends. Were are leaving Wed. See you in Auburn Friday. 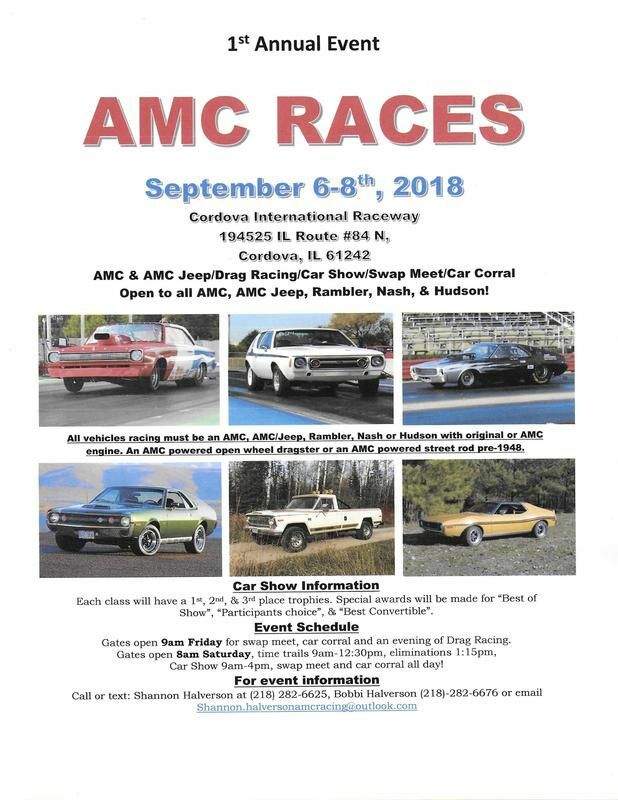 AMC RACES 2018 event is 1 month away! 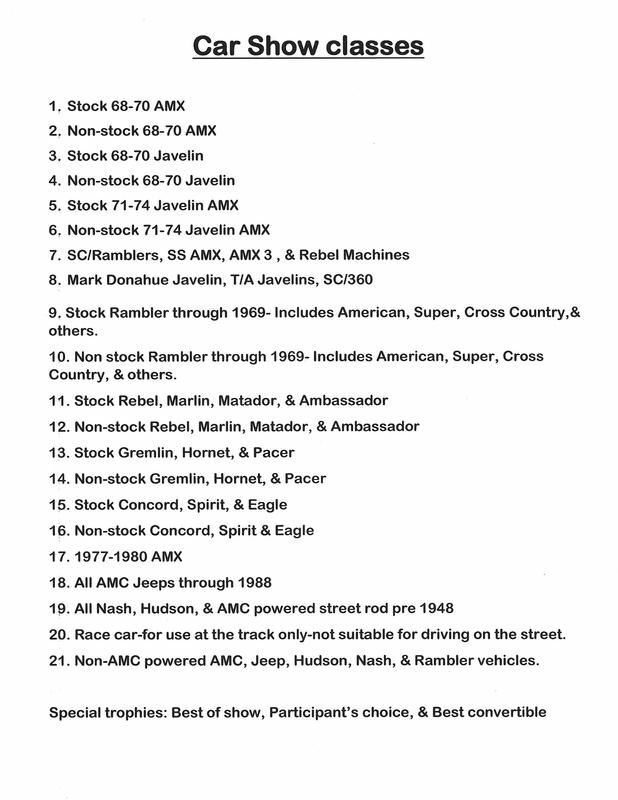 Here are the car show classes. Bobbi here- I was the one that typed it-I see the error now-will fix & repost.